This seagull isn't out on the ocean eating discarded plastic. He's made from it. Photo courtesy of Carnegie Science Center. 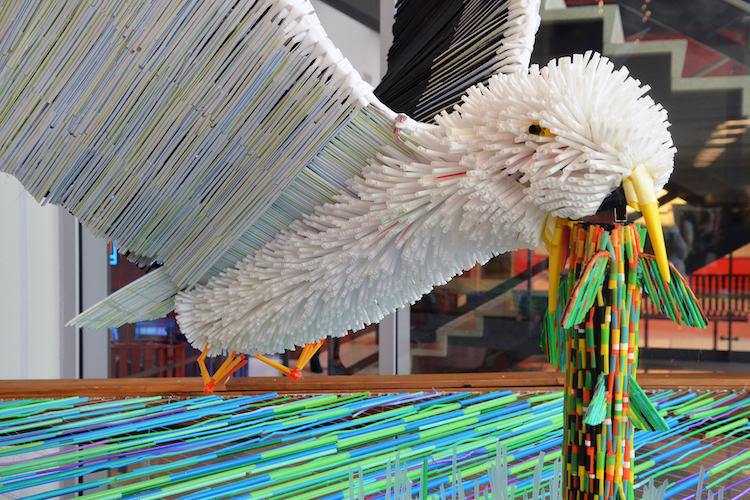 Once you get past the initial “ick” factor — art made from used drinking straws? — you realize the idea is brilliant. Every year, millions of plastic straws get thrown away, one by one, and far too many end up polluting our environment. Our oceans are filling with these toxic bits of plastic, and the impact on sea life and our planet’s water is undeniably worrisome. But who thinks of that when you drop one single, tiny straw into a trash can? In order to start a meaningful conversation around the issues of single-use plastic waste and plastic pollution, the Sustainable Pittsburgh Restaurant program worked with a creative team from Shift Collaborative to take more than 25,000 discarded straws that might have ended up at the bottom of the ocean and turned them into an incredible undersea sculpture. A closeup of the Straw Forward exhibit. 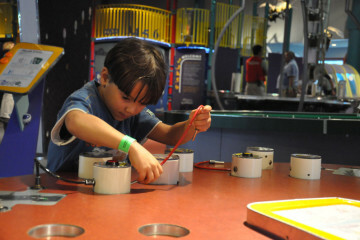 Photo courtesy of Carnegie Science Center. The installation also includes discarded plastic-based items pulled from the banks of the Allegheny River by Allegheny CleanWays, pieces of yarn upcycled from plastic bottles collected by citizens in developing countries (thanks to Thread International) and other repurposed materials from Construction Junction and the Pittsburgh Center for Creative Reuse. 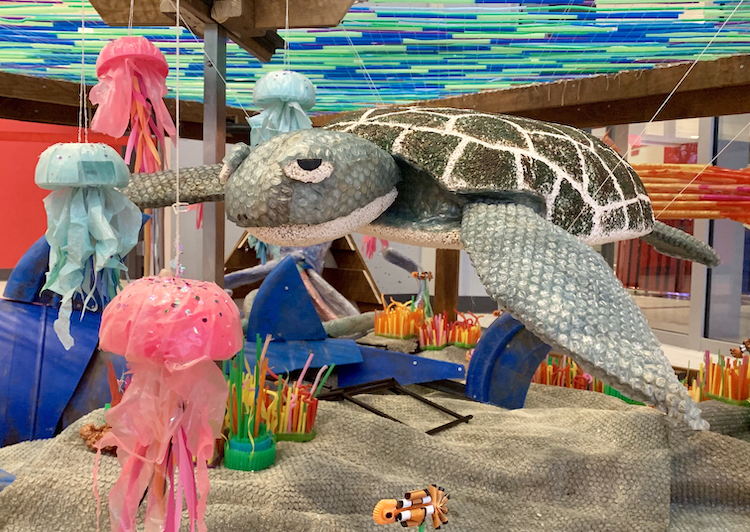 You have one month to catch it: The sculpture is on display in the Science Center’s RiverView Café through Friday, Feb. 15.